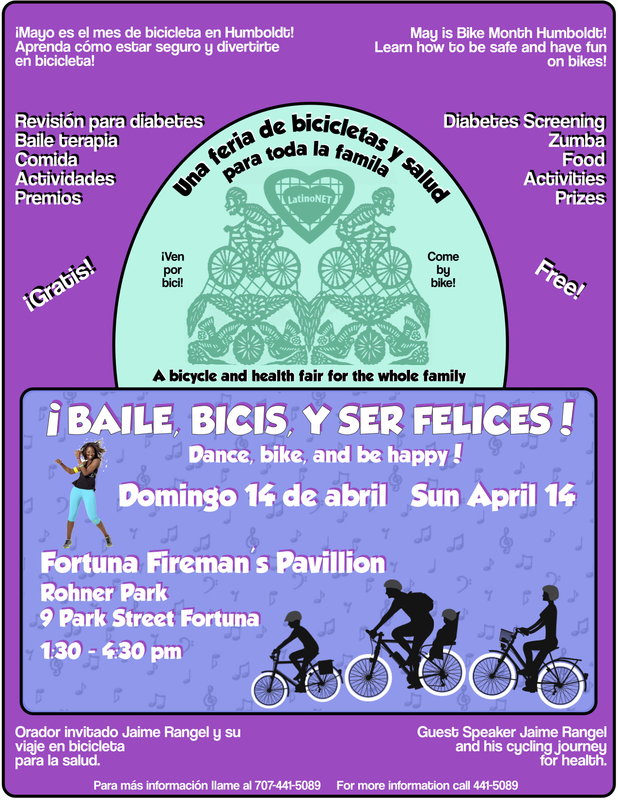 This morning Emily Sinkhorn and I spoke with Jaime and Areli Cupp about the upcoming Bike & Health Fair on Sunday at Fortuna Fireman's Pavilion in Rohner Park from 1:30 - 4:30pm. Jaime grew up in LA. Now in Fresno teaches kids about biking and working on their own gear to aid in diabetes prevention. He will be the guest speaker at the Bike & Health Fair.